We are happy to announce one year Fellowship Training Programme in Pediatric Intensive Care which is already started from 1st Nov 2017. This is official fellowship of IAP Intensive Care Chapter & as per clause no. 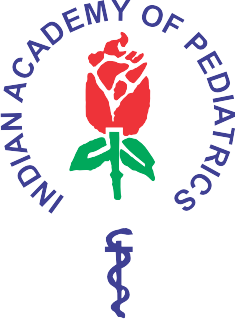 29 of the constitution of CIAP it will merge with Indian College of Pediatrics (ICP) of CIAP in future (depending upon functioning of ICP). Applications are invited from the interested institutes/hospitals for the accreditation of the IAP fellowship training programme in Pediatric Intensive Care for June 2018 session. Duly filled application forms along with details of the institute and bio-data of the teacher/s with a covering letter requesting for inspection should be sent to the Accreditation Secretary, IAP Intensive Care Chapter Fellowship Programme. Each application has to be accompanied with inspection fees of Rs. 20,000/- DD/RTGS/NFT in the name of IAP Intensive Care Chapter payble at Satara. Institutions interested in starting fellowship can apply only if they have been functioning for at least 3 years and have teachers with adequate experience to be eligible to be considered for the same as per eligibility criteria given in the guidelines. Institute should have at least 6 PICU beds with 2 mechanical ventilators as basic criteria. Institute should be a 50 bed hospital. One teacher to be formally accredited in an Institute for undertaking fellowship training. The institute applying for the accreditation must give an undertaking in addition to teacher that (a) in case a teacher leaves the institute they will continue to provide training to the trainee & (b) all facilities in the institute will be provided to the trainee during his period of training in the institute. Institutions should apply for accreditation along with teacher’s accreditation. The eligibility of both Teachers & Institute will be scrutinized simultaneously for accreditation purpose.